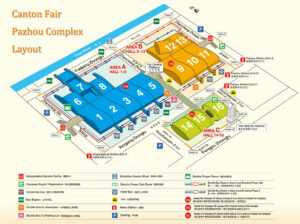 Finally, Canton Fair Spring edition is here! 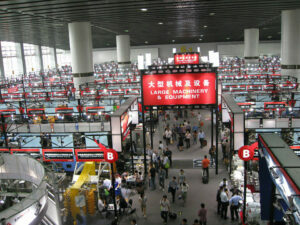 Yeah, Canton Fair is held twice a year which is in Spring and in Autumn (usually started from October). In this article, I will discuss everything regarding this first phase of Canton Fair. 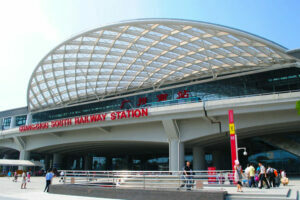 My journey was started by taking train from Shenzhen to Guangzhou. It was about 50 minutes and I finally arrived at Guangzhou. 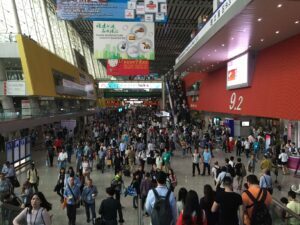 For you who attend the Canton Fair and want to plan another trip to the closest cities in China, you may go to Shenzhen, Macau, or Hongkong by taking bus or train or by water ferry! Like I mentioned in the previous article, to enter the Canton Fair, you have to have a badge. 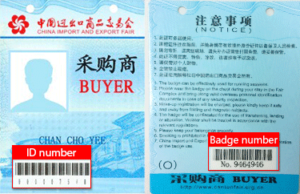 You may keep the badge to be used at the next Canton Fair and this will ease you to enter the fair. If this is your first time attending the fair, you need to get the badge there. During this first phase, the complex is not big enough to hold all the exhibitors so they need to install some tents outside of the fair. Can you imagine! 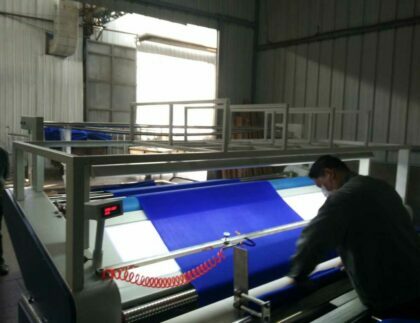 Beside an excessive amount of supplier, number of visitors who came was also huge! It was full of people, so readers, prepare yourself to queue, wait and walk a lot. Competition inside the fair can be felt! It was heating up! How cannot be... There are so many exhibitors in the fair that they need to find new ways to attract people. 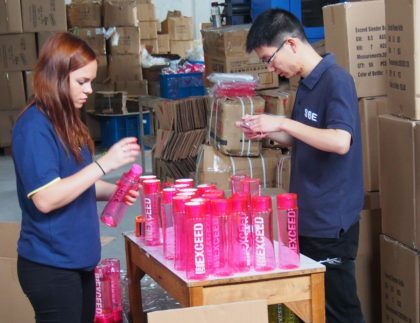 Some suppliers include performers, models or mascots to be more visible. One thing for sure that I witnessed during the first phase of the fair: I saw lots of foreigners working at the fair. So, don't worry too much about the language barrier! This is the biggest fair in the world, so expect lots of people and an immense complex. Guangzhou has one of the worst traffic in China, add that to the fair being far from the center and you can easily spend an hour or more going from the fair to your hotel. If you can the fastest option to go to the city center from the fair is by metro. there are some fast food restaurants at the Canton Fair complex, some Western and some Chinese. This is not how Chinese food normally tastes! So don’t worry when you try this food! Outside of the fair it will be better! 3. How to dress for the fair? 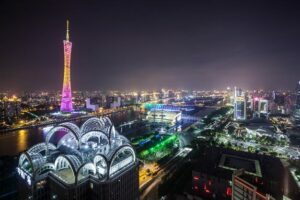 Although the fair is to make business, you will walk a lot and weather in Guangzhou at this time of the year is hot and humid. Some visitors choose to wear suits, but the majority prefers to wear something comfortable while trying to look appropriate at the same time. There is no etiquette for this fair, so we suggest you to wear something that will allow you to walk and be comfortable for hours. Suppliers will give you catalogs and you will end up carrying lots of catalogs. A luggage with wheels will save you from carrying them and it is an easy way to walk around the fair. If this is your first day at the fair, remember you need time to get your batch; you also will need time to get inside the fair and go through the security controls. Be there early to avoid long queues and to have enough time to visit the fair during the day. 6. Don’t be the last to leave! Leaving the fair is the most time consuming thing you will do during your trip. The fair closes at 6 pm, if you wait until 6pm to leave, you will do as the other 80% of the visitors and you will have to wait for quite a while to get inside the metro, to take a shuttle bus or to take a taxi. We suggest you to leave earlier than that to avoid all the people.